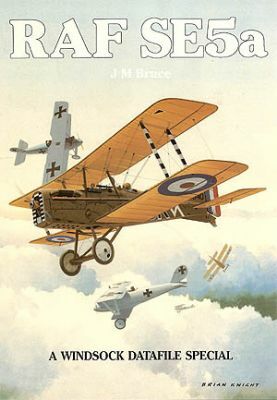 This stunning 48 page reference provides unmatched detail for the classic WWI fighter as flown by the top aces Mannock, Bishop and Rhys-Davids to name but a few. 68 archive photos, 68 close-ups (18 in full colour!) plus over 17 colour profiles, official GAs, rigging diagrams and a genuine WWI colour photo! Cockpit data, detailed colour notes and a listing of SE5a model kits. Les A Rogers brings together his extensive knowledge and archive database to present unit-by-unit coverage of the famous fighters.